Ahh, spring. The birds are singing, the flowers are blooming, and college acceptance letters are arriving. If you’ve been applying to colleges, you’ll likely notice a surge of mail at your house. 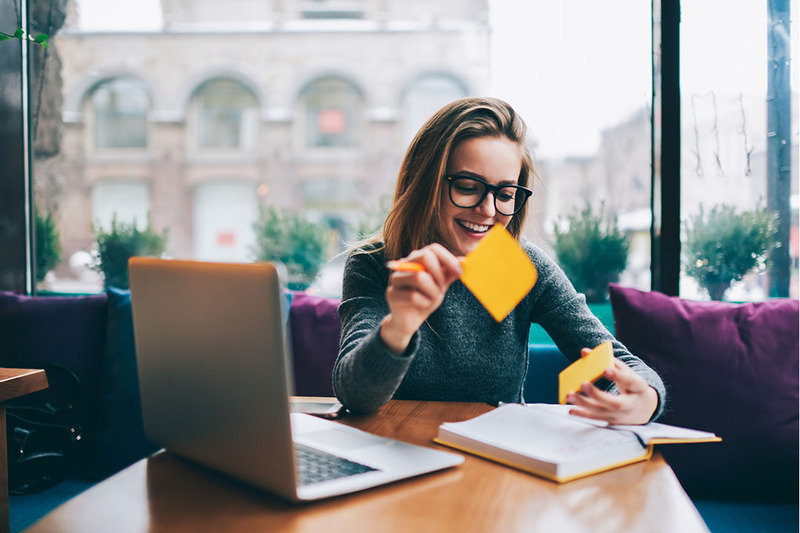 From financial aid to scholarships to loans, there’s a lot of information out there on how you can pay for your education. Out of the Class of 2018, StudentLoanHero.com found that 69% of college student took out student loans, and the average debt per student was $29,800. Not only that, but parents took a hit too, averaging $35,600 in Federal Parent PLUS loans. And while most students end up seeking loans to cover costs, more than half of undergraduates don’t take advantage of federal student aid. These figures can seem overwhelming, so it pays to do your own research to see which school is the best fit for your goals and finances. ConsumerReports.org has a few tips on how to help ease the strain of college costs. Look beyond the listed price. What’s the actual cost of going to college? A college’s annual tuition includes the price of classes (in hours), school fees (ranging from library use to gym dues), plus room and board. Costs really start to add up! To help keep track of it all, look to see if the university has a net price calculator on their website. If they don’t, you can figure it out by subtracting whatever financial aid you’re given (this can be scholarships, grants, and work study) from the cost of attendance. Make sure to also factor in the costs of books and transportation, and any special costs associated with your major, like art supplies. Break up those payments. Instead of paying for school in one lump sum that can break the bank, find out if the school offers payment plans without interest. Just make sure you keep on top of your payments! Continue searching for scholarships. The scholarship search shouldn’t stop once you’re accepted into your dream school. While you may have used performance-based scholarships from high school initially, look for college and business-based scholarships for more financial resources. Your school’s financial aid office is a great place to find these and more.